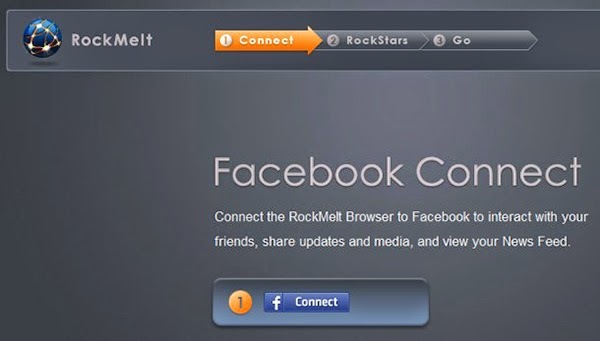 Rockmelt started as a web browser. It provides all current happenings around the world. Now, Rockmelt is also available for all smart phones. The new phone app if this web browser gives all current affairs, gossips, news blogs, articles, reviews, interviews and all type of interesting stories. Rockmelt app has all you need to connect to the world. The new phone app is a wonderful choice for social connectivity. It has videos and text and pictures of all latest happenings. Rockmelt is subscribed for free. it can be easily downloaded from the app store. You can see news after connecting to the wireless network. It is available in many languages including, English, Afrikaans, Amharic, Arabic, Bokmål, Norwegian, Bulgarian, Byelorussian, Catalan, Chinese, Croatian, Czech, Danish, Dutch, Estonian, Filipino, Finnish, French, German, Greek, Hebrew, Hindi, Hungarian, Indonesian, Italian, Japanese, Korean, Latvian, Lingala, Lithuanian, Malay, Persian, Polish, Portuguese, Romanian, Russian, Serbian, Slovak, Slovenian, Spanish, Swahili, Swedish, Swiss German, Thai, Turkish, Ukrainian, Vietnamese, and Zulu. This shows the popularity of Rockmelt app. Rockmelt app shows worldwide news and updates. It is not confined to just one region or continent. It connects the whole globe. You can share any interesting news on your blogs or accounts. In this way your interests can be visible to your friends. You be more popular in your friends because you know everything about the world. It is the quickest and easiest way to learn the updates. It gives you awareness and makes you more socially active. Isolation is not a good thing. Socially active people are happier and live long. It is proved scientifically. So, it is the best way to connect with the world. You can use Rockmelt as a web browser from your PC or laptop. When you are going to bed you can use Rockmelt on phone. it is fun and interesting. Unlike other apps which are only available for smart phones. The PC experience is more or less same. No difference in the usage or connectivity. Rockmelt is like a new experience for you. It gives you all breaking news and daily routine affairs. The politics and behind the curtain news are not hidden from Rockmelt. Rockmelt gives you anything you ask for. You can read funny articles to tragic realties. It has everything. Rockmelt also has pictures and videos. These videos show the true reality and you will the depth of the news. The phone app has widgets that show different pages. It connects all newspapers and videos of different aspects. Many people read their favorite e newspaper from Rockmelt. It is a free app. so, if you don’t have Rockmelt download it right now. You need it if you want to know about the global affairs. When you will download Rockmelt it will connect with the wireless network. Then it will show you all top news and headlines along with the pictures and videos. The outlook is very cute. This makes it interesting and if the news are tragic the outlook will not make you upset. This Article is written by Sheraz Khan Baloch. He is working with Team Academic Writers. Team Academic Writers provide academic writing services like Dissertation Writing Services, Essay Writing Services and much more like these.